Andy Barnett is a joint master’s candidate at Yale University’s Environment and Divinity Schools. His research focuses on common-ground climate solutions that are big enough to matter and small enough to manage. He is also a jazz pianist with an active touring schedule throughout the Northeast. 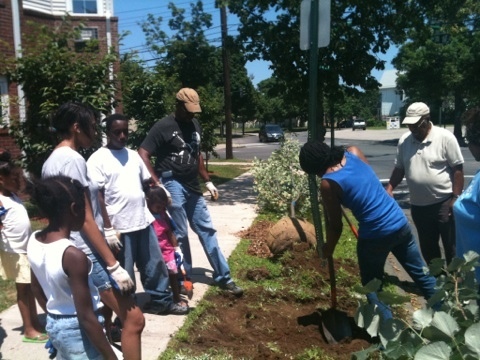 The Urban Resources Initiative (URI) began planting trees in New Haven, CT, in 1991. Satellite imagery and computer modeling had shown that New Haven was losing up to 500 trees a year, a problem that was particularly bad in poor neighborhoods, some of which had dipped to almost half the tree cover of wealthier areas. At the time, each tree URI planted had to be approved by the city’s Parks Department before it could enter the ground. But with a 95% tree survival rate, the URI soon earned the trust of the department, as well as a contract with the city. Street trees do not simply improve the profile of a neighborhood; they retain storm water, sequester carbon, raise property values, reduce cooling costs and trap pollution. And when URI calculated the ecosystem services that each tree provides, it concluded that “the average New Haven street tree has an annual economic value of $152.74.” New Haven’s mayor, John DeStefano, was impressed. So impressed that, in October of 2009, he announced his plan to plant 10,000 trees in New Haven by 2014. Like most projects that matter, the Urban Resources Initiative grew from the community. While some cities hire central contractors to pump trees into the ground, URI views each contract as an opportunity to improve human well-being in the city. The URI mission statement encapsulates this approach: “Listening to local concerns and developing environmental programs in cooperation with schools, neighborhood groups, and city agencies is the cornerstone of our work.”i To this end, URI’s directors have designed green-jobs programs to hire people from three populations that often struggle to find work elsewhere: teens, former prisoners, and recovering addicts. First, the project pairs teens with Yale graduate students who lead by example. For many kids, this is their first job, and the crews work after school twice a week and most Saturdays in the spring and fall. The students learn to identify trees, use GPS software, evaluate sites and, of course, plant trees. In addition, the teens build networks of hard-working peers who are excited about nature. Second, URI learned that, in an average week, 25 former prisoners re-enter the city. A felony record makes it tough to find work, and those who cannot often return to the same dangerous and illegal work that landed them in jail in the first place. To combat this, URI began a job-skills program for these citizens who had made mistakes in the past but wanted to get their lives back on track. The newly employed work Monday through Thursday; they plant during the day, then hand their spades to the students who arrive after school. Finally, the Urban Resources Initiative provides opportunities to recovering addicts. Substance abuse programs typically consist of six months of rehab, which addicts often choose to attend in lieu of prison sentences. Yet with a history of drug use, employment prospects are limited for many. Coming into the program, self-esteem can be low, but URI crew leaders have high standards for their workers, and the project has trained 34 people in recovery since the autumn of 2010. Often, these employees tell their families, “I planted that tree,” as if the budding leaves were monuments to new possibility. URI lets residents drive the agenda and finds ways to unite environmental and social concerns. For example, one woman in Cedar Hill takes a shovel and a tree out to the corners where prostitutes wait for business. She makes a ruckus, digs a bigger hole than she needs and plops the tree in, talking to the people around her all the while. They usually leave her corner by the time she waters the tree. Speaking with Murphy-Dunning, I was heartened by her clear vision for community uplift, and thinking that we could end the interview with five reasons to plant a tree, or something equally fit for an inspiring poster, I tried to role-play. “Okay,” I said. “Imagine I’m a homeowner and you knock on my door. You’ve got two minutes to convince me to plant a tree. What do you tell me?” I was rather proud, my pencil poised for a salty quote. Instead, Colleen pulled some negotiation jujutsu that left my head spinning. When people make the call, URI works with them to choose a species and come up with a maintenance plan. They never plant more than 10% of a genus or 5% of a species because they know that diverse environments are more resilient. 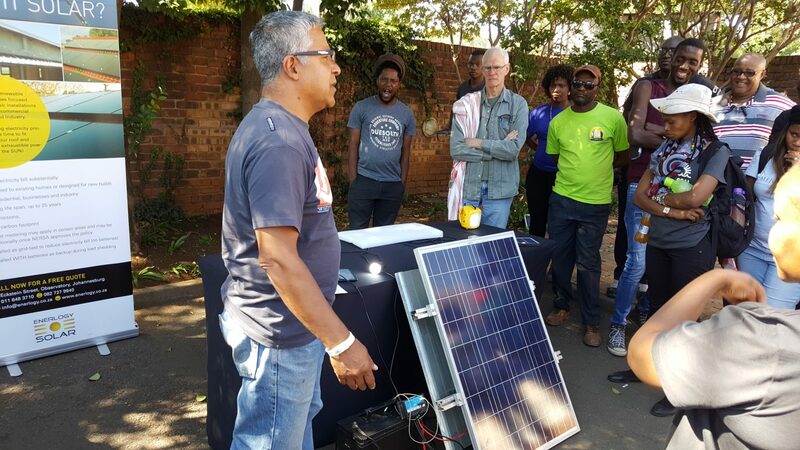 This community-based approach comes from URI’s firm belief that environmental and social degradation are intricately linked. Any meaningful solution must, therefore, address both sets of concerns. [ii] Murphy-Dunning, Collen. Personal Communication. December 12, 2011.